Joseph’s passion is helping singers unlock their full potential, giving them the tools and techniques to be their very best. His background includes work as a voice teacher, coach, conductor, soloist, adjudicator, and clinician. Joseph has experience working with all ages and abilities from children, to seniors, to Parkinson’s patients. For 10 years he traveled the US and Canada leading his “Vocal Technique Intensive” weekend seminars designed for amateurs to professionals. 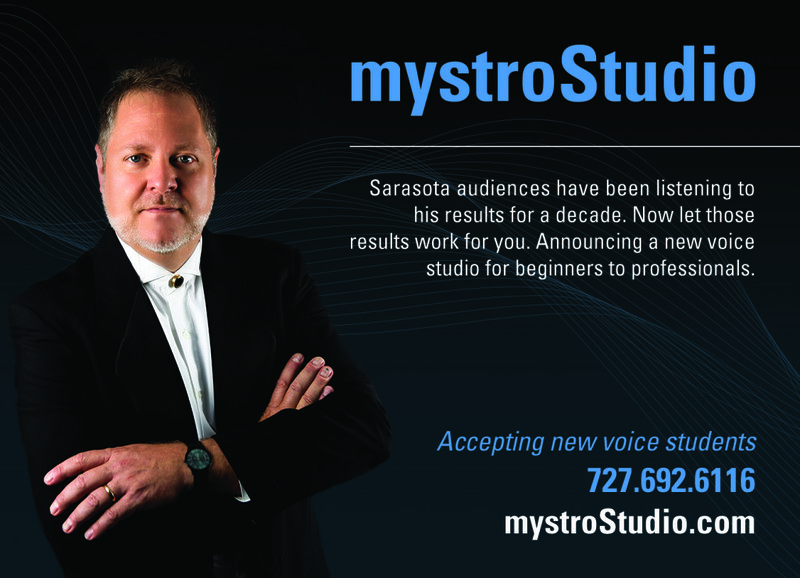 Now a resident of Sarasota, Joseph has recently opened mystroStudio located at 1049 32nd Street. The new flagstone planter box looks amazing in the Zen Garden. It inly took a mere 618 pounds of rock! 2 new orchids out today on the Orchid Tree. Loving this spectacular weather! Hard to believe James Williamson Guyer talked me out of church music retirement to conduct services at St Boniface Episcopal Church Easter Sunday. Thanks to the choir, brass and timpani for their hard work. Looking forward to services tomorrow.